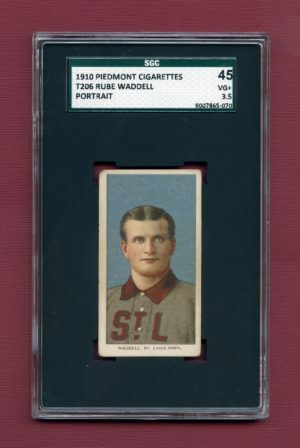 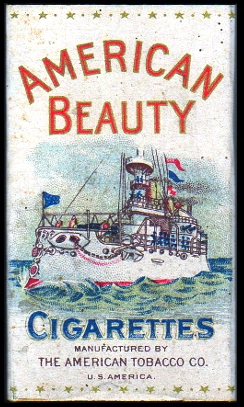 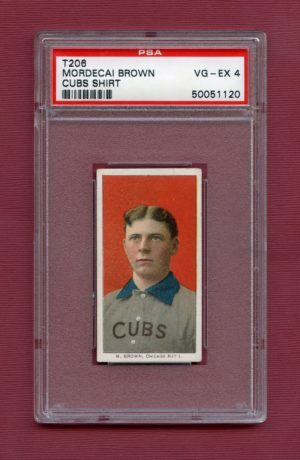 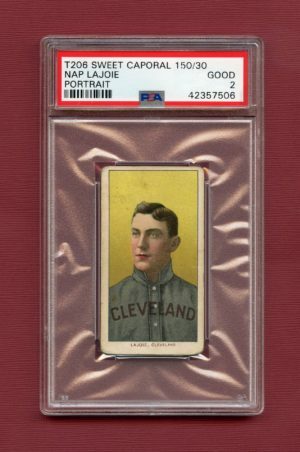 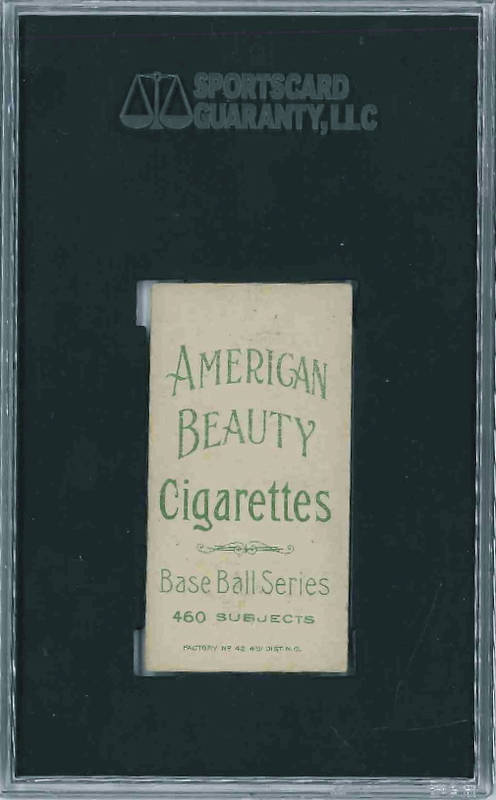 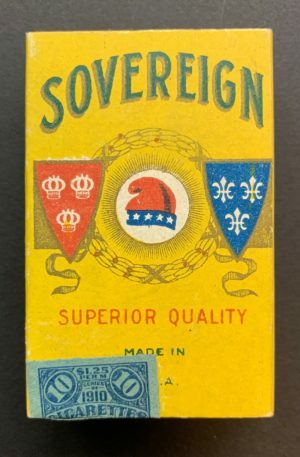 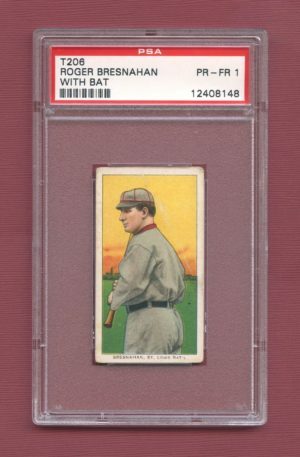 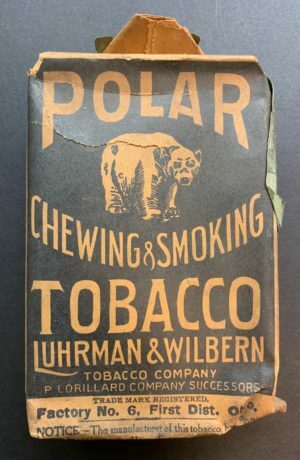 A high end example of New York Giants Hall of Fame legend John McGraw featuring the American Beauty 460 advertising reverse (ranked 13 of 39 in terms of scarcity according to T206 Resource). 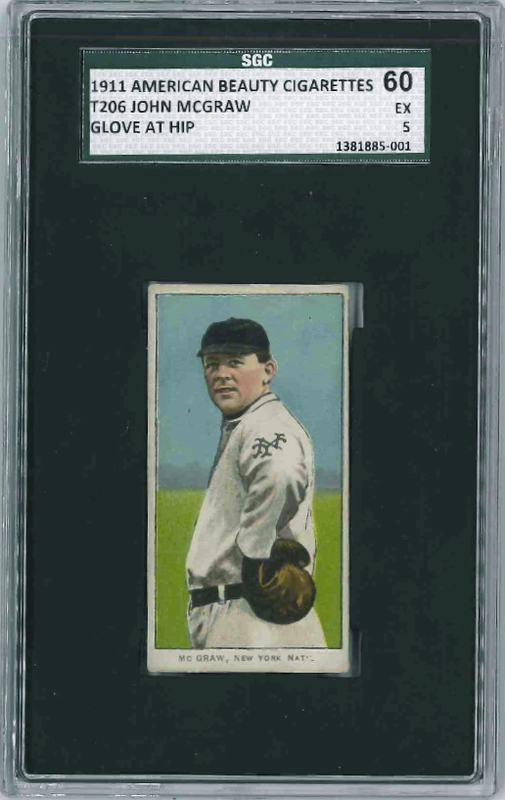 John McGraw reigned supreme over the National League for 30 years beginning in 1902. In that span his Giants won 10 pennants, three World Series, and placed first or second in the league 21 times. 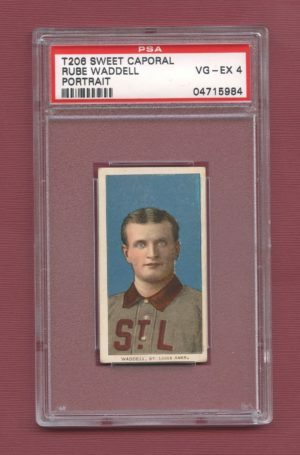 As a player McGraw hit over .320 nine straight seasons and his career .466 on-base percentage trails only Babe Ruth and Ted Williams. 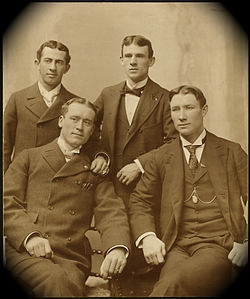 The cantankerous McGraw became a celebrity of his day. 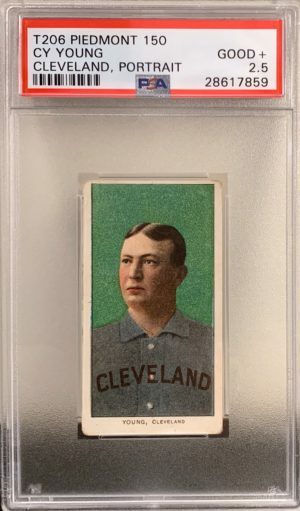 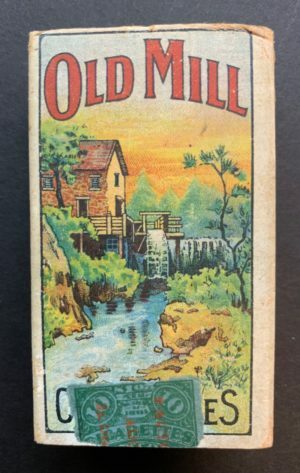 He owned a pool hall with Arnold Rothstein, who provided the cash for fixing the 1919 World Series, and shared ownership of a racetrack and casino in Cuba with Charles Stoneham, who bought the Giants in 1919. 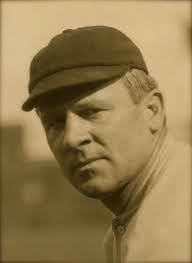 McGraw helped Jacob Ruppert buy the Yankees, but later warred with the Bombers when Babe Ruth and the home run era threatened his favored “inside baseball” style of play. 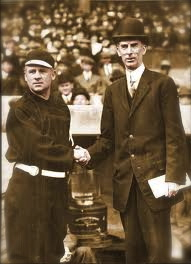 In 1933, although retired, McGraw was chosen as National League manager for the first All-Star Game. 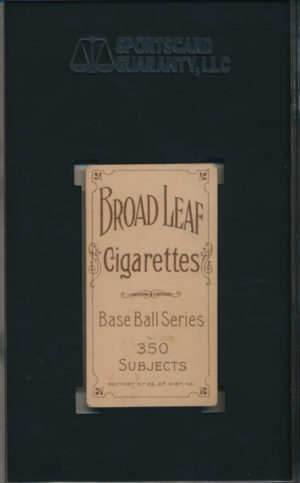 He was inducted into the Hall of Fame in 1937.